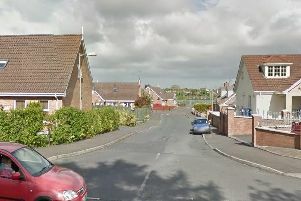 Detectives are appealing for information following a break-in at a house on the Brownstown Road, Portadown, last night. Detective Constable Connor said: “Sometime between 4:50pm and 7:50pm the house was broken into. It’s understood a quantity of jewellery may have been taken. "I am appealing to anyone who was in the Brownstown Road area between 4:50pm and 7:50pm and noticed any suspicious activity, or anyone who is offered jewellery for sale in suspicious circumstances, to contact detectives at Lurgan Criminal Investigation Branch on the non emergency number 101, quoting reference number 1168 of 29/12/17. The detective urged everyone to protect themselves against theft and burglary by locking all doors and windows. "Remove all your valuables from sight – both at home and in your vehicle - and remain vigilant to suspicious activity," he said.